This is what Dalton looked like the entire day. 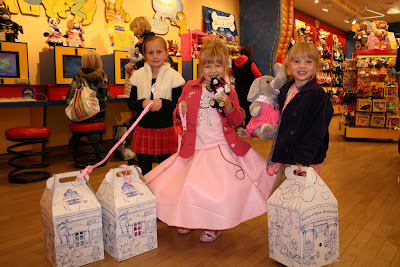 For that reason, we moved the party from the house, to Build-A-Bear. 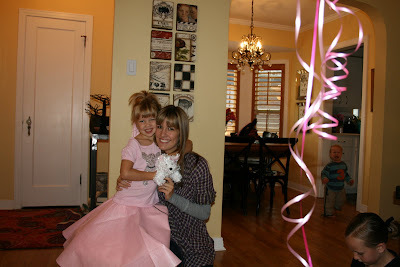 It ended up being SO much easier for me, that now I am wondering if I will ever do a party in my house again. Grandma Paula came over, so that she could go with us. 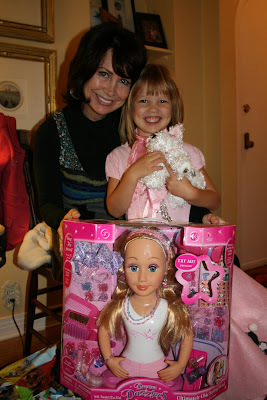 Shelby got to open her presents from Grandma. The hit was the life size doll that she could style, and whose hair she could cut. Finally hair that she could CUT, without getting in trouble! The white dog is from Dalton. Garrett doesn't look too happy about the fact that he is not invited to be in the picture. Shelby's best friend, Hanna, came over. We all rode together to the party. So, we picked up another little friend of Shelby's. I told her that if we were doing Build-A-Bear she could only invite a few friends. Which ended up being great considering that last year I went insane and invited the entire Salt Lake population of four year olds, half of whom Shelby could have cared less about. Once we were at Build-A-Bear, some Bear-maker put on the big production about bringing their animals "to life". Oh, to be five and believe in that...priceless. She told them a bunch of hocus-pocus about shaking their animal, and rubbing it, and kissing some little heart that got put inside the animal before it was sewed up, so that it would be strong and fun and lovable. Whoever invented this store is genius. I must admit, that I got in to it. I mean, when in Rome! 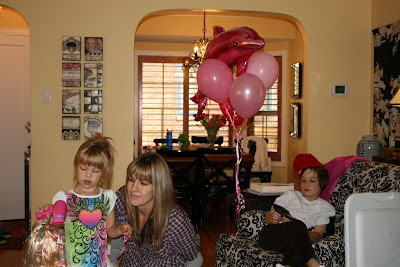 I let the girls pick out whatever animal they wanted. 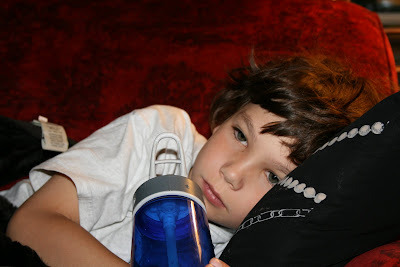 Which caused Gavin to have a mini-ulcer. But come on, it's not like there are ten of them. He was generous. And so, once they had their animals, they proceeded to try on every outfit in the store. First, we started with underpants for the dogs...an absolute necessity. I think that this is when Gavin's eyes started to roll. A hundred outfit combinations later, and they were ready to go. Shelby's Portuguese Water Dog got an outfit. They each got a puppy to go with their animals too...oh, and a leash. I think that Grandma paid for the accessories. Sweet Grandma. Still...SO much cheaper than a normal party at our home. And NO clean up! 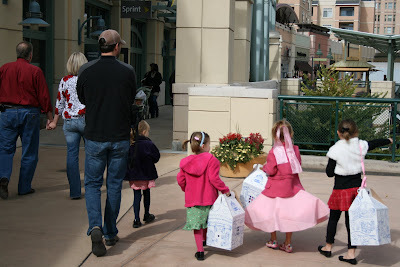 From there, the fancy group walked to the Food Court, where they ate a scrumptious meal of Hot Dogs on a Stick, or Happy Meals. I succumbed to Panda Express, and immediately regretted it. 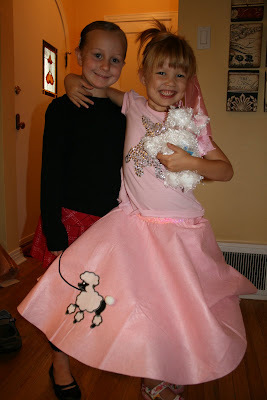 Shelby had put a giant tutu on under her poodle skirt, making it as wide as she was tall. Life was almost complete, and then Shelby saw this dog, whose owner let her hold him. Now, if she could just figure out a way to get this dog in to her Build-A-Bear House, her day would be perfect. 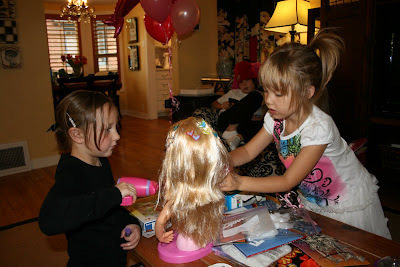 Back at home, her and Hanna go to town on the stylin doll from Grandma. And they could not stop! 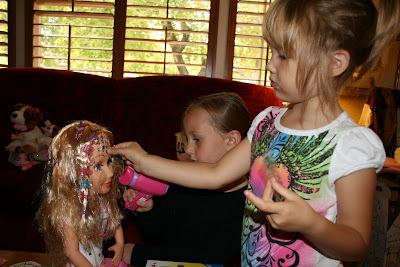 So many glittery, jewely, lip sticky, blow-drying, wondrous things to stick on this girl's head...must keep styling! I have to keep this one from eating all of the little stickers and clips that come with the doll. Here, he managed to snag one while no one was looking. 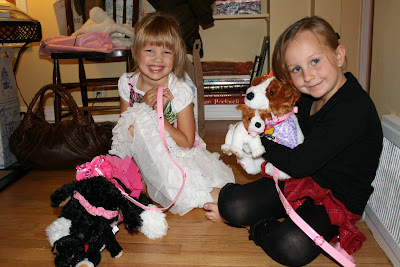 Here the girls show off the darling new dogs that they got at Build-A-Bear. 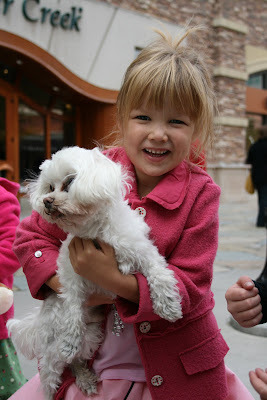 Shelby said that her Mommy was named "Kristen" and the baby dog was named "Kris". 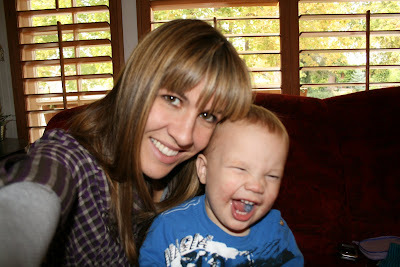 Oh, the joys of being the most beautiful and cool Aunt in the world! And so, it was perfect. The friends all got along. The day was sunny. The girls loved the animals they got. Shelby was happy as could be. And I got to go out with my girlfriend that night. Win-win! Of course, the flip side was the next morning both Shelby and I woke up with exactly what Dalton had. But the day of the party was picture-perfect.